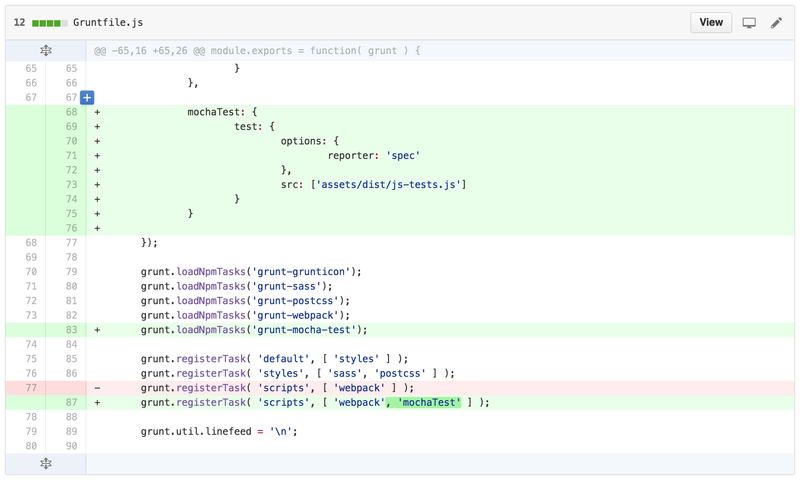 I had a really difficult time this morning setting up React + Webpack + Mocha + Chai + Enzyme. All roads with Mocha seem to lead to Karma, which I don’t want to use because I don’t want the complexity of a headless browser. 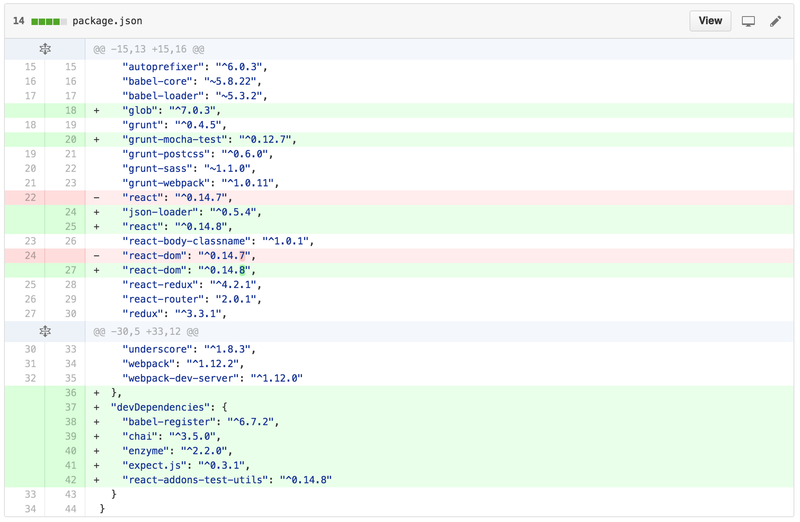 And, all past roads with Mocha but without Karma seem to be pre-Webpack/Babel. I’m using Grunt with Webpack because that’s what I copy and pasted from the Feeling RESTful theme (and Grunt is what I’m used to generally).